Dr. Shaw seeks not only to help his patients regain your full health, but to educate them in the process. To this end, we are working on compiling some helpful resources that may be of interest to you. Visit our site regularly for more articles, videos, and other educational links. According to the Canadian Chiropractic Association, over 11 million Canadians suffer from at least one musculoskeletal condition. One of the main contributors? Poor posture, which results from poor body mechanics in everyday activities like hunching over computers or tablets, slouching at work, and even carrying heavy bags. Studies continue to show that sitting for prolonged periods can put further strain on the body. Proper posture can help reduce or avoid musculoskeletal pain. Regular chiropractic care can be helpful in assessing posture and addressing concerns before they progress further. If you overload a truck, it won't roll. If you overload a plane, it won't fly. If you overload a train, it won't stop. If you overload a bridge, it will collapse. These simple laws of physics are easy enough for children to understand. What's not so easy to understand is why, as grown adults, we think our bodies and minds are any different. Your personal overload is increasing your risk of getting sick, whether you feel the weight or not. A 2011 report from the Chartered Institute of Personnel and Development found that "stress has become the most common reason for a worker being signed off long-term sick." The "twenty-first century equivalent of the Black Death," they said. So today, it might be a good idea to put some distance between you and the Black Death. When you do, please remind yourself that when you do feel the pressure, you have the right to say no, hit delete, or hang up -- guilt free. You're the only one who can lighten your own load. 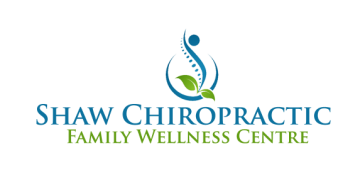 An inspirational story from Dr. Gilles Lamarche that illustrates the incredible healing power of chiropractic care and the importance of a well-functioning nervous system.